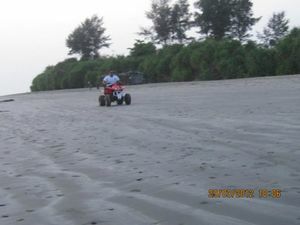 St Martin's Island is in the Chittagong Division of Bangladesh about 10 km south-west of the southern tip of the mainland. St Martin's is a tropical cliché and the only coral island in Bangladesh, with beaches fringed with coconut palms and laid-back locals. It's a clean and peaceful place with nothing more strenuous to do than soak up the rays — even mosquitoes are a rarity. There's a naval base near the centre of the island, and the USA looked into setting up one of their own a few years back. The island was devastated by a cyclone in 1991 but has fully recovered, and was untouched by the 2004 tsunami. It is possible to walk around St Martin's in a day since it measures only 8 km², shrinking to about 5 km² during high tide. Most of the island's 7000 inhabitants live primarily from fishing, and between October and April, fishermen from neighbouring areas bring their catch to the island's temporary wholesale market also most of the tourists visit this place mostly in winter. Rice and coconuts are the other staple crops, and algae are collected and dried from the sea rocks and sold for consumption to Myanmar. Most things are concentrated around the far north of the island, with the centre and south being mostly farmland and makeshift huts. There is no electricity on the island, though the larger hotels run generators in the evenings for a few hours. November to February is the main tourist season with the best weather, though keep an eye on the forecast, as the occasional cyclone can strike during this time. From Teknaf you can cruise to St Martin's Island with the best and the safest ship Keari Sindbad and reach St Martin's comfortably in 2 or fewer hours. Keari Sindbad cruise journey is a pleasant one as you will see the spectacular views of Teknaf's hill on one side and Mayanmar on the other side while it cruises along the Naf River. Ferries leave the island around 3pm.Keari Sindbad ferry and you can purchase a round trip ticket; which can same day return or 1-2 days later. Prices are same whenever you return. The return fare on Keari Sindbad start from BDT 550-800 as of September 2014. Getting to Saint Martins Island by bus is a two-step process. First you'll need to travel to Teknaf which is the Southern most district of Bangladesh on the very southern tip, sandwiched up against Myanmar. One can come to Teknaf by bus from Dhaka, Chittagong and Cox's Bazar. Dhaka to Teknaf bus fare is around BDT 850-900 non-A/C and BDT 1400-1700 A/C as of January, 2012. There are several bus services which depart from Fakirapool, Dhaka to Teknaf. Maximum bus starts at night and the journey is near about 10-11 hours. From Teknaf, mid-level ships run daily and take around 2-2.30 hours named Kutubdia, Keary Sindabad, Eagle-1. The fare starts from BDT 450 to BDT 2500 as of September, 2012. All the ships and cruises stars journey from Teknaf to Saint Martin around 9AM-9.30AM and return journey starts from Saint Martin to around 3PM. The important thing is, during the off-season (May-August/September)these ships do not provide services because off bad weather. The peak season is September-April. The total distance from Dhaka to the island is 510 km. By plane you have to reach firstly in Cox's Bazar from Dhaka/Chittagong (Inter-country) by Biman Bangladesh Airlines or with Private Airlines such as Regent Airlines, United Airways, Best Air etc. The fare from Dhaka-Cox's Bazar is around BDT 3000-4500 as of December, 2011. Cox's Bazar airport is the closest airport to Teknaf. After reaching Cox's Bazar by Plane, from Cox's Bazar there are several ways to travel to Teknaf. There are private cars for rental services and cost approximately BDT 100-150. There are public buses which start from Cox's Bazar to Teknaf and cost BDT 60-80. Another way would be a group rental of a mid-level micro bus or jeep to travel to Teknaf which may cost less and be a safer journey. Arriving from the port you'll walk through a strip of basic restaurants and shops, and hit a T-junction. Left will take you to the eastern beaches (the cement ends shortly before the scuba dive centre), while a right turn will take you along the main cement 'road' where most of the hotels and guesthouses are, ending at the north-west part of the island. At one point a left turn leads around the newly built hospital and into the centre of the island. It's an interesting walk and eventually leads out to the western beach just north of the Sea Turtle Hatchery, after a couple wrong turns. Flatbed cycle-rickshaws are the only transport aside from walking. There are no motorized vehicles on the island, not even motorcycles (yay!). Sunrise on the east side of the island, and after a lazy day head over to the west side for sunset. Sunset Point is a rocky peninsula on the northwest corner of the island, near Saint Martin's Resort, which exists only at low tide — a popular spot if sunset and low tide coincide. Village life is slow paced — most work happens in the morning and evening, while midday is reserved for drying fish and rice and selling your coconuts. Or, more likely, sitting in the shade chewing paan. There's Sea Turtle Conservation Program site on the west side of the island operated by research and conservation organization Marinelife Alliance. 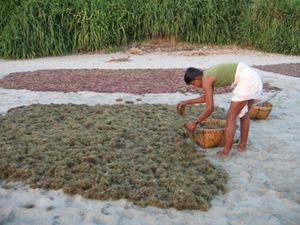 They run sea turtle eggs hatching ground at Konapara village beacg and also at Shilbaniar Gula at 3 kms south. If it's the right season there will be Netted/Bamboo enclosure on the upper side of the beach where eggs are buried to hatch safely; not much to see, but it's nice to know that good work is being done. This is under the Sea Turtle Conservation Project, Marinelife Alliance, Previusly they used project name STURCNET (Sea Turtle Conservation Network). Marinelife Alliance doing Sea Turtle Conservation Program at all sandy beac areas of Bangladesh, whole cox's Bazar beach, and also at Kuakata. Please visit Marinelife Alliance sea turtle research centers at Cox Bazar when you first come. Contact is [email protected], [email protected], [email protected], cell 01716624310. The first tag was attached in 2000, and in January 2003, a total of 65 tags had been attached to nesting Green and Olive Ridley turtles. 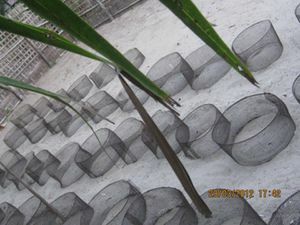 The conservation project has so far included activities such as: monitoring of nesting turtles along the coastline; in situ conservation efforts, including protecting nesting beaches; protecting nesting females from predatory hazards, such as dogs; ex situ conservation through hatcheries; and an awareness-raising campaign about sea turtle conservation.-Sources: Saving Marine Turtle: Conservation of Biodiversity, Marine Park Establishment and Eco-Tourism Development Project at St Martin's Island. Ministry of Environment and Forest, Bangladesh. Stars are amazingly plentiful on a moonless night, due to the lack of electricity on the island. 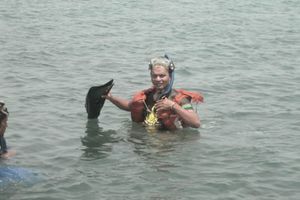 During scuba Diving at Chera Dwip at St Martin's Island. Walk the beach to the southern island of Chera Dwip, accessible on foot along a narrow strip of land at low tide, or via a boat shuttle (Tk 5/person) at high tide. 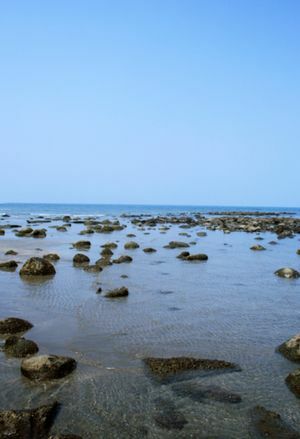 Beware of sharp rocks if wading through the water; sandals are ideal. Walking the length of the island takes around 1.5 hours. Take some sunscreen and water (though there's an occasional shack selling drinks, coconuts and snacks). There are many small shops near the dock/port and along the main road selling very basic necessities and the odd souvenir t-shirts, hats, dry fish, shoe, sandals, dry foods, cosmetics & toiletries and sunglasses and many more. These are relatively cheap from the main town. Specially one must buy dry fish from here, it's relatively cheap and high quality. There are also few restaurants along with the main road of Saint Martins Island. The foods are cheap and good quality to eat. Anyone can complete the Breakfast, Lunch and Dinner with various sea foods. Everyone should taste the experience with different sea fishes and food, if once go there. Sea shells and things made from them are sold by little children around the island, but it's illegal and leads to the depletion of sea life. If any one go there, please not to buy those and encourage others not to buy those. These will slowly damage this Island and the natural life. There are also some fake product come from Myanmar and China. Please try to avoid those and buy the real one. Food is a little more expensive here than on the mainland. The food shacks that line the road to the port all cook up similar fare: parothas (Tk 8), omelettes (egg, Tk 20) and vegetable curry (Tk 20) for breakfast, and (fish, dal, rice and veggies at 130 Tk) the rest of the day. Cha is Tk 8. All of the hotels also have restaurants with basically the same typical Bangladeshi offerings, with higher prices and better quality than those near the port. 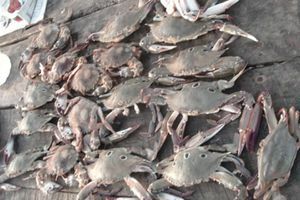 Chicken is sometimes available but not very tasty, and lobster and crab may be available occasionally at very high prices. The restaurant at Blue Marine Resort and Appayan at St Martin's Resort are the best on the island. "Narikel Jinjira Restaurant" is simply the best of the best. We have all heard about "A room with a view" but at Narikel Jinjira Restaurant they say "Dine with a view". The restaurant is located right at the front of the pier. Coming down from the pier you will find the restaurant on the first right side. They specialize in Sea food as well as Bangla, Indian and Chinese. Bar-B-Que is one of the special features they have for late afternoon. They offer buffet as well for large groups (Advanced booking). They have opened this restaurant with the mission to provide quality food for the tourists who visits the island. It has sitting arrangement for more than 200 guests at a time making Narikel Jinjira one of the biggest restaurant. Here they want to give you the taste, environment as well as keeping in mind your health. The food is delicious and the interior is sure to catch your eyes. A trained set of people are waiting to welcome you to "Narikel Jinjira Restaurant". The islanders also sell dried fish, which is a bit more expensive but fresher than those available upshore in Cox's Bazaar. Early morning is the best time to get fresh fish from the fisherman near the market, you can often bring it to your hotel chef and ask him to fry it up the way you like, or some places may do a nice evening barbeque. Some places may even give you kitchen access to cook it yourself if you ask. Coconuts are the drink of choice (Tk 25), and coconut pushers are to be found along the length of the island, getting slightly less aggressive as you move south. Alcohol may be available at the larger hotels or if you ask discreetly near the port, though there is not even a hint of nightlife. There are several budget guesthouses along the main road such as Hotel Sea Heart, Bay of Bengal Guesthouse, Coast Guesthouse, Hotel Sadek, Oceanview and Coral Reef Guesthouse, all similarly dark and characterless with dank attached bathrooms and no running water. Anywhere else these rooms would cost around Tk 500-700, but here you'll be lucky to pay Tk 1000 and be asked for as much as Tk 1500. There's a government resthouse signed only in Bengali on the main road next to Bay of Bengal Guesthouse. Rooms are a little larger and cleaner than the surrounding guesthouses and have mosquito nets. It's not possible to prebook rooms and, even if they're available, whether you can stay will depend on the mood of the man on duty. Rooms ~Tk 600. 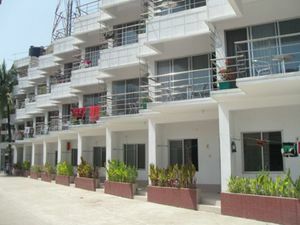 Labiba Bilash Dhaka office: Sena Kollayan Bhaban (17th floor), 195, Motijheel, C/A, Dhaka. Tel: +8802717783, +02713555. Saint Martin office: Labiba Bilash, Kona Para, West Beach, Saint Martin Tel: +880171166800, +880171847880. This is completely a mid-range hotel to stay in this place. This is completely near to the western beach and from the room, one can see the beach. They also have separate arrangement for BBQ party and have separate arrangement for different kind of Sea foods to serve. One can order their special sea fish for eat and they also have that kind of special services to provide. Room rest is at pick-season (September-April) BDT 2000-3000 and at off-season (May-August) its nearly half like BDT 1000 as of January, 2012. Bargaining is a regular thing here. One can arrange with better price if have good bargaining capability. Check-in time is around 12PM-2PM and Check-out time is around 1PM-2PM. Panna Resort Dhaka Office: Apartment-3A, House-120, Road-01, Block-F, Banani, Dhaka-1213, Bangladesh. Tell: +8802887998. Fax: +8802859108. Cell: +880181922212. E-mail: [email protected] Saint martin office mobile no: +880181172615. This is another mid-level resort with lots of facilities. Fare is nearly BDT 2000-3000 in pick-season (September-April) and BDT 1000 in off-season (May-August) as of January, 2012.BBQ arrange is also possible only for couple also. Also have the BBQ arrangement for big group and family. The island has seen a massive increase in tourism (mostly Bangladeshis) over the last few years, and the fragile ecosystem on the island is not well equipped to handle it. Do what you can to encourage eco-friendly practices, and definitely don't litter the island. 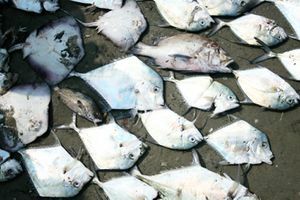 It's also a good idea to avoid eating fish at every meal on an island where overfishing is a major problem and sea life is rapidly vanishing. If you come across sea turtles or their eggs, keep a reasonable distance and don't disturb these fascinating but fragile creatures. Westerners should be alert to the modest lifestyle of the islanders, especially women. It is not a good idea to swim in public places in western bathing suits, and modest dress is appropriate for both women and men. There are no landlines, but cell phones work well, due to a few very imposing cell phone towers dotted around the island. Grameenphone, Robi, Banglalink, Citycell and Airtel are the service providers and are well established here. There is no internet on the island, the nearest is in Cox's Bazar. Otherwise there are internet modems which use the same signal of mobile companies with decent speeds. As tempting as it may be to cross into Myanmar, it is highly illegal and very unlikely that you could arrange a boat from here anyhow. Simply enjoy the views of the coast during the boat journey, and if you're intent on going, head up to Dhaka, get a visa, and fly from there. This page was last edited on 25 October 2018, at 07:54.